Teach undergraduate and graduate courses in Special Education. Work with department and college to align department curriculum with state and professional performance-based standards. Maintain an active and visible program of scholarship, including presentations and publications. Participate in service within the department, college, university, community, and professional organizations. Supervise students in community-based or school settings. Earned doctorate or doctoral specialization in special education or school psychology by September 2015. Evidence of commitment to continuing scholarly activity in special education or school psychology. Experience working with children and youth with disabilities. Experience working with diverse populations and a commitment to advancing matters of equity and inclusion. Present or past credential in special education or school psychology. Demonstrated potential for excellence in teaching at the university level. Evidence of active, applied, collaborative scholarship in special education. Teaching and scholarship in bilingual and/or multicultural special education. Expertise in high incidence disabilities, including methods for teaching reading to at-risk populations and children with disabilities. Expertise in universal design for learning. Experience aligning university curriculum with state and national standards for special education. Experience in collaborating with general educators, families, other professionals, and/or community. Please submit your application via WWU's Electronic Application System for Employment (EASE) at https://jobs.wwu.edu/. Note: You will need to use Internet Explorer to fully utilize WWU's online application system. Materials may be attached as noted on the EASE application. For further information on this position please contact Dr. Gail Coulter by emailGail.coulter@wwu.edu or phone 360-650-2667. THE POSITION IS FULL TIME, M-F ONLY WITH PAID HOLIDAYS! EXCELLENT BENEFITS! Tests and evaluates patients using formal and informal methods. Employs academic courses of study and methods to enhance academic levels. Reviews and revises programs as deemed necessary. Prepares conference summaries/reports for each assigned patient as needed per month. Teaching Credential, preferably in Special Education is preferred. Experience in rehabilitation or with developmentally disabled is preferred. Bachelors degree in Education or related field. Send resume to hrtx@neuroskills.com or fax to 972-871-5327. 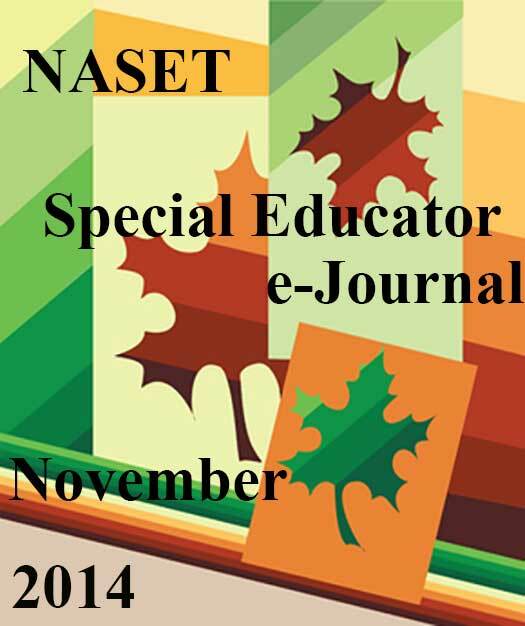 Seek and collaborate with specialists who can support special needs of scholars. Ensure scholar engagement and learning. Promote confidence and build partnerships within school community e.g. parents, guardians, community stakeholders, etc. Keep current on trends, legislation and developments related to education. TEP's Part-Time Literacy Specialist (approximately 15 hours per week) will work one-on-one with students identified as struggling readers in both push-in and pullout capacities, spiraling effective literacy interventions into the student(s)' existing curriculum. The Literacy Specialist will design, implement and track interventions for the focus student(s) to develop decoding, fluency, and reading comprehension skills. The major aim is to facilitate substantial growth in the focused student(s)' reading ability. Immediate opening. Start date is flexible. The Part-Time Literacy Specialist will report directly to the TEP Special Education Coordinator to develop and track and progress towards specific objectives set by the Literacy Specialist. The Literacy Specialist will be paid $20 to $25 per hour, based on instructional experience and expertise. The Literacy Specialist will work approximately 3 hours per day (15 hours per week). To apply, please submit a resume and cover letter to jobs@tepcharter.org. The subject line of your email should read Part-Time Literacy Specialist. Your cover letter must detail your specific experience and expertise in literacy instruction, including specific curricular materials or interventions you have successfully used to support struggling readers. Applications submitted without a cover letter will NOT be considered. Please visit http://www.tepcharter.org/Part-Time-Literacy-Specialist.php for details. The Equity Project Charter School is now hiring for Social Studies/ History, ELA and Special Education Teaching positions. Featured in The New York Times and on 60 Minutes, TEP is the school that pays its teachers a $125,000 salary to work on a team of master practitioners in an environment that values and develops teaching excellence. We are currently hiring teachers in Social Studies/ History, ELA and Special Education. Teacher Apprenticeship positions are also available. The Equity Project Charter School is a 5th through 8th grade middle school serving low-income students in the Washington Heights neighborhood of New York City. Please visit our website at http://www.tepcharter.org/apply.php for specific details on requirements and how to apply. Please visit this link for detailed information on revolutionary compensationhttp://www.tepcharter.org/revolutionary-compensation.php. Visit: http://www.tepcharter.org/apply.php for details on how to apply. Report progress on students with IEPs and 504 plans to various constituents. 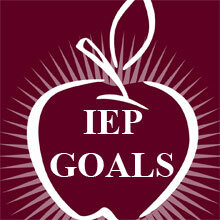 Provide faculty with program and testing needs from each student's IEP. Provide direct instruction to individuals and small groups in a professional development setting as needed. Administer diagnostic tests as needed. Function as liaison and advocate for students with diverse abilities on various school teams as needed between home, school, and, or agencies as needed. Meet with parents/guardians as needed to communicate IEP services, supports, and, or results of assessments. California Teaching Credential with Special Education/Educational Specialist Clear (Level II) Credential. Options For Youth is a guided independent study public charter school serving students in grades 7 through 12. We are currently looking for a Resource Specialist (RSP Teacher) to join our dynamic team. The primary responsibility of the RSP teacher is to provide instruction and other related services to Special Education students. The RSP teacher will also facilitate diagnostic assessment including administration, scoring and interpretation. RSP teachers will review and revise IEPâ€™s as needed. The Resource Specialist will support instruction in reading, math, and written language for students, tutor individual and small groups of students, administer and score academic testing, write individualized education plans and support other academic programs as needed. The Resource Specialist will work under the leadership of the Program Specialist and the Director of Special Education. *The specific statements shown in each section of this description are not intended to be all inclusive. They describe the general nature and level of work being performed and/or represent typical elements and criteria considered necessary to successfully perform the job. The Company retains the discretion to add to or change the duties of the position at any time. Visit our website at ofy.org to learn more about our company! A valid California Teaching Credential in Special Education (Mild/Moderate). Full-time and temp-on-call positions available. Full-time positions include benefits, retirement plans, holiday and vacation pay and potential incentives. The mission of the Great Oaks Charter School is to prepare its students to succeed in college. We will do this by instilling in students the scholarship, discipline, and honor necessary to be successful in college and to pursue a career of their choice. Great teachers are at the heart of what we do, and are the key to our students' college success. The Special Education Teacher is responsible for ensuring that every student at Great Oaks is supported in their academic development. He/she will be responsible for providing IEP services in the following settings: general education classroom, resource room, and tutorial groups. He/she will be the primary person responsible for ensuring that students with special needs receive the proper accommodations within the classroom and during tutorial sessions. He/she will also oversee progress monitoring for his/her caseload. This teacher will work closely with the Special Services Coordinator and tutors to ensure all students have access to a quality education. All teachers will also take on additional responsibilities around the school such as advisory, lunch duty, enrichment classes, and after school activities. Our most successful teachers are those who operate with a team mindset; we are all in this work together and it will take each and every one of us to achieve college success for our students. The Help Group is now hiring special education TEACHERS! The Help Group's nine specialized day schools offer pre-K through high school programs for more than 1,450 students. Its broad range of mental health and therapy services, child abuse and residential programs extends its reach to more than 6,000 children and their families each year. With more than 950 staff members, The Help Group's state-of-the-art schools and programs are located on seven campuses in the Los Angeles area. We are hiring for our Autism schools located on our Sherman Oaks and Culver City campuses. Excellent benefits, including 100% employer sponsored plans and partial tuition reimbursement. We pay our Level I/Level II teachers according to the LAUSD pay scale. Please submit your cover letter and resume to careers@thehelpgroup.org or fax to 818-779-5242. Please include your special ed credential in the subject line. For more information about The Help Group please visit our website at www.thehelpgroup.org No calls please! Please go to http://www.anovaeducation.org/careers to download and submit an employment application. You may also send a cover letter, employment application, and resume via email to Kelly Obremski at kobremski@anovaeducation.org or call 707-527-7032 for more information.